Personality and performance are intricately linked, and personality has proven to have a direct influence on an individual's leadership ability and style, team performance, and overall organizational effectiveness. 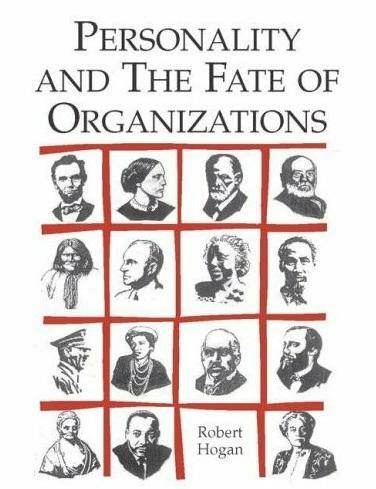 In Personality and the Fate of Organizations, author Robert Hogan offers a systematic account of the nature of personality, showing how to use personality to understand, evaluate, select, deselect, train, and understand organizations. This book brings insights from a leading industrial organizational psychologist who asserts that personality is real, and that it determines the careers of individuals and the fate of organizations. The author’s goal is to increase the reader’s ability to understand other people—how they are alike, how they are different, and why they do what they do. Armed with understanding, readers will be able to pursue their personal, social, and organizational goals more efficiently. A practical reference, this text is extremely useful for MBA students and for all those studying organizational psychology and leadership. "A superb demonstration of the importance of personality traits in organizational contexts, and a lesson for any organizational psychologist (and manager) who undermines the importance of personality in sociological, historical, and political settings. Hogan's new book provides a theoretical and scientifically robust explanation of leadership, managerial incompetence, and job success, in a unique and charming style that is both a joy to read and accessible to everyone. No other author has accomplished this task with such brilliance, and no other book has succeeded at bridging the gap between academic and business knowledge with such accuracy and simplicity: a real masterpiece!" Tomas Chamorro-Premuzic, Department of Psychology, University of London, Goldsmiths College. "Bob Hogan has taught me more about leadership and personality--both intellectually and experientially--than any person I know. Given what is happening on the world stage as well as in our political, business, health care, and educational systems, this book should be mandatory reading for anyone in a position of authority. Leadership is the number one issue of the day, and we have tolerated weak or mediocre performance from our leaders for far too long." Gordon Curphy, President, C3, Co-author of Leadership: Enhancing the Lessons of Experience. "It is rare to find such a seriously researched, thoughtfully constructed and paradigm-challenging book so easy to read. 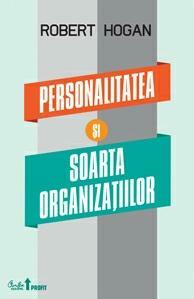 This must be on the prescribed reading list of undergraduates and graduates in personality theory, organizational behavior and HR management, as well as read by all consultants and managers interested in the role of personality and individual differences in the workplace." Adrian Furnham, Professor of Psychology, University College London. Robert Hogan, Ph.D.,president of Hogan Assessment Systems, is an international authority on personality assessment, leadership, and organizational effectiveness. Dr. Hogan was McFarlin Professor and Chair of the Department of Psychology at the University of Tulsa for 14 years. Prior to that, he was Professor of Psychology and Social Relations at The Johns Hopkins University. He has received a number of research and teaching awards, and is the editor of theHandbook of Personality Psychologyand author of theHogan Personality Inventory. Dr. Hogan received his Ph.D. from the University of California at Berkeley, specializing in personality assessment. Curtea Veche - Printing House for Romanian version. Actual and specific to the activity I perform.